There’s a challenge that’s come up in recent years regarding cooling technology and strategies for businesses, like data centers and colocation firms. That’s understanding the differences between comfort, or residential cooling units being used in computer room applications. According to the white paper, the difference comes down to precision cooling verses comfort cooling. Computer room cooling simply takes a different approach. 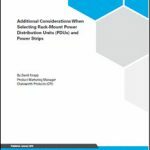 The new report contends that to understand the differences, as well as today’s often complicated regulation regarding computer room cooling. It helps to take a look back at the history and evolution of various corresponding regulations. These can be fast changing, Stulz points out, and many may be misusing comfort cooling units in computer rooms simply because they are not aware of perks of application specific units or the regulatory aspects of the application. The report walks the reader through the progress and evolution of computer room cooling units. 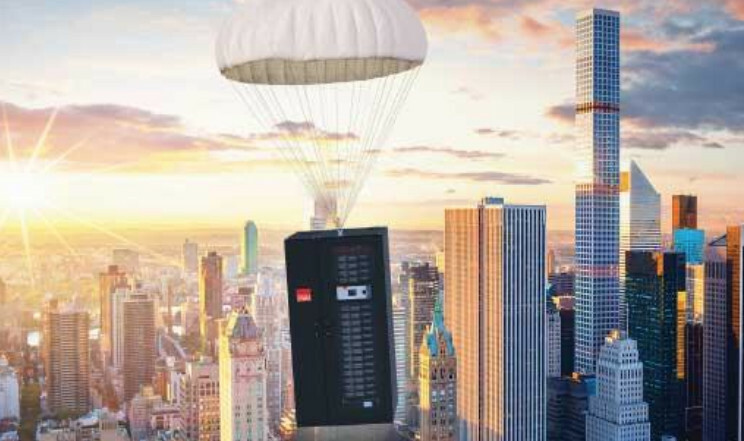 For example, since computer rooms consume large amounts of power, computer room air conditioner (CRAC) manufacturers have dedicated thousands of hours of research and development in an effort to create the most energy efficient equipment for this particular application. Before 2010, there was no required energy efficiency standard for computer room cooling equipment in the United States, Stulz points out, but the tides have turned. Now, there are a variety of regulations to keep in mind from the Department of Energy (DOE) and beyond, when it comes to cooling your data center and colocation facilities. So, what constitutes a “computer room air conditioner” versus those you use to keep your house comfortable? “Computer room air conditioner” means a basic model of commercial packaged air conditioning and heating equipment (packaged or split) that is defined by three points outlined in the report, which apply specifically to computer rooms, data processing rooms, or other information technology cooling applications. 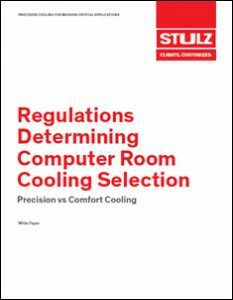 Download the new white paper from Stulz, “Regulations Determining Computer Room Cooling Selection,” that outlines the changing requirements for computer room cooling, and helps them choose the best precision cooling options for their businesses.